We would like to invite you to be a part of our Community Supported Agriculture (CSA) movement. This compassionate initiative focuses on the production of high quality Artisan food for the North Shore community using natural, bio-intensive farming methods. This model of farming encourages a greater degree of involvement of the members which results in a stronger farmer to community relationship. Our core design model is focused on developing a cohesive community that is willing to advance fund an entire growing season’s budget to support community wellness. This enables ZeroPoint Farms to focus on soil rehabilitation, reducing the risk of food contamination/waste and community wellness education. Join this exciting movement. It’s an investment in Community Wellness! Now Accepting 10 New CSA Members! 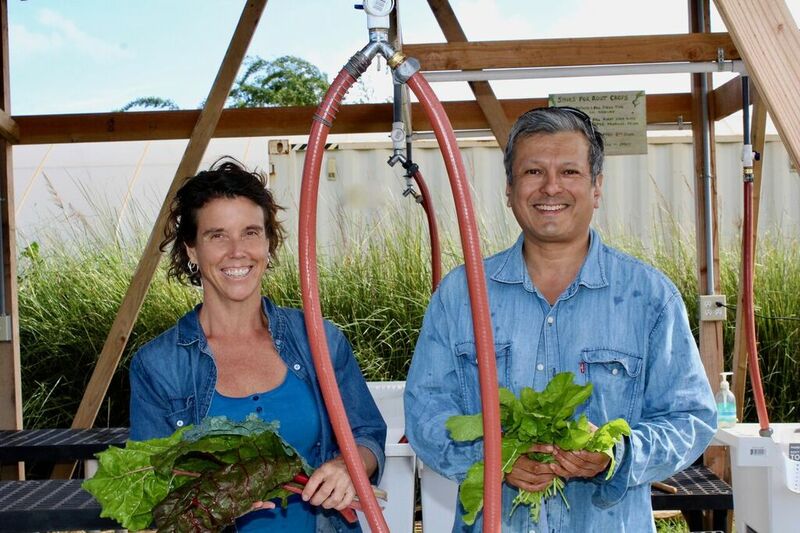 Support your Artisan North Shore farmers (Arnold Molina and Terri Keppinger) and become a community member of ZeroPoint Farms for the 2019 Growing Season. Join the artisan farm movement today! As a ZeroPoint Farms CSA Member, you will receive a weekly share of our bountiful harvests. You will also be part of our Farm Family with access to our farm and farming methods, enabling you to learn how to grow naturally through composting and bio-intensive farming. In addition, there will be farm fitness classes, family farm days and workshops on the positive impact of artisan farming on community wellness. Join us in this collaboration to inspire and support more globally aware and embodied living by choosing the membership that’s right for you in 2019! All new members will begin receiving a weekly share of seasonal artisan produce starting April, 2019. As we need to purchase the seed and farm supplies now, your farm membership must be paid as soon as possible to guarantee your place. Cash Payment: We will contact you to organise payment.